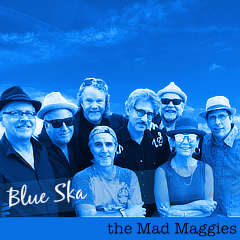 Home News the Mad Maggies on Italian Radio! the Mad Maggies on Italian Radio! Thursday 6th March at 9.30 pm (Italian time), new episode of “An Triskell” radio programme about FOLK MUSIC from THE UNITED STATES with Callanash, Kyle Carey, Long Time Courting, Murder the Stout, Cathie Ryan, Scythian and THE MAD MAGGIES. Streaming at http://www.radiocittabollate.it:8000/live.m3u, repeat on Friday 7/3 at 9 am. internet radio, Italy, Radio Indy.